Team Henry was awarded a contract from SKANSKA USA to provide a turn key building edition for the University of Virginia’s Hospital expansion project. The estimated new construction for the hospital expansion project is approximately 425,000 square feet with an associated renovation portion of approximately 95,000 square feet. 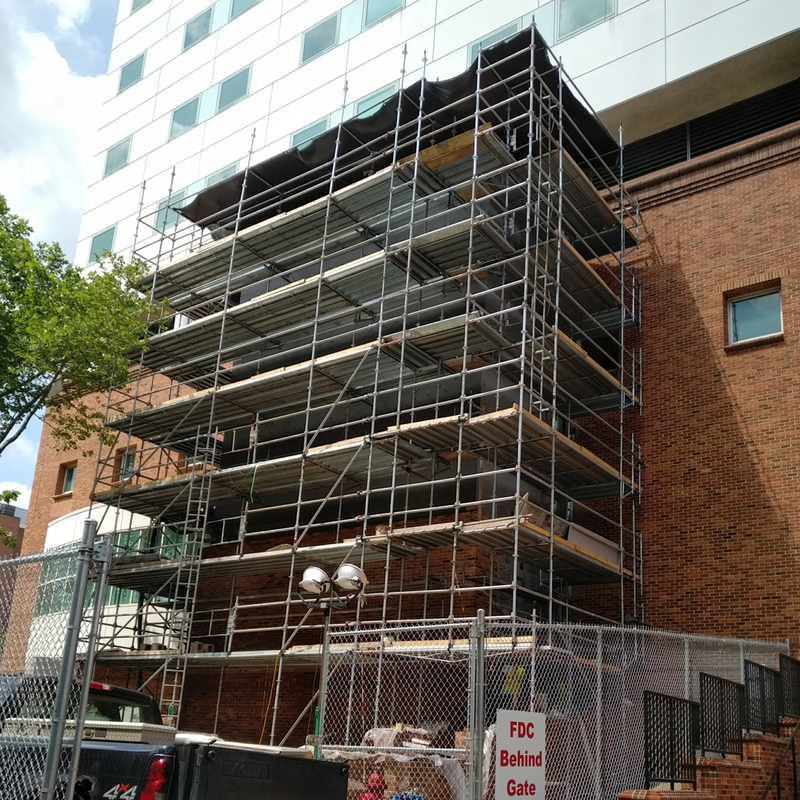 Team Henry’s task consisted of a new three-story stair tower building edition off of the main hospital. The multi scoped tower encompassed trades such as concrete, structural steel, CMU/ brick masonry, waterproofing, glazing, plumbing, mechanical, electrical, (ICRA) Infection Control, and roofing. Team Henry was awarded a contract from SKANSKA USA to provide all of the concrete equipment pads for the University of Virginia’s Hospital expansion project. These concrete pads were imperative for the ongoing progress of the overall expansion project as they were required for equipment to be installed. The equipment included scopes such as mechanical, electrical, plumbing, fire protection, P-Tube, and elevator.